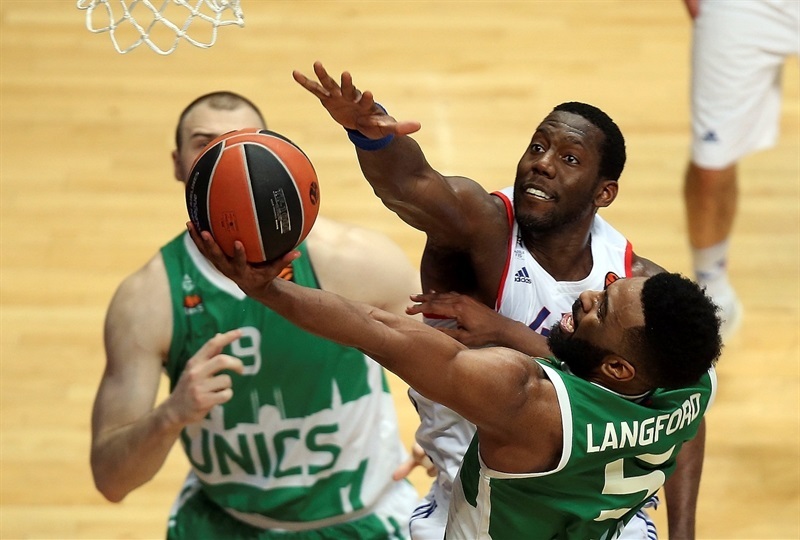 In a thriller that needed overtime to determine the winner, Anadolu Efes Istanbul took another step towards the Turkish Airlines EuroLeague Playoffs by downing Unics Kazan 92-99 in Russia on Friday. 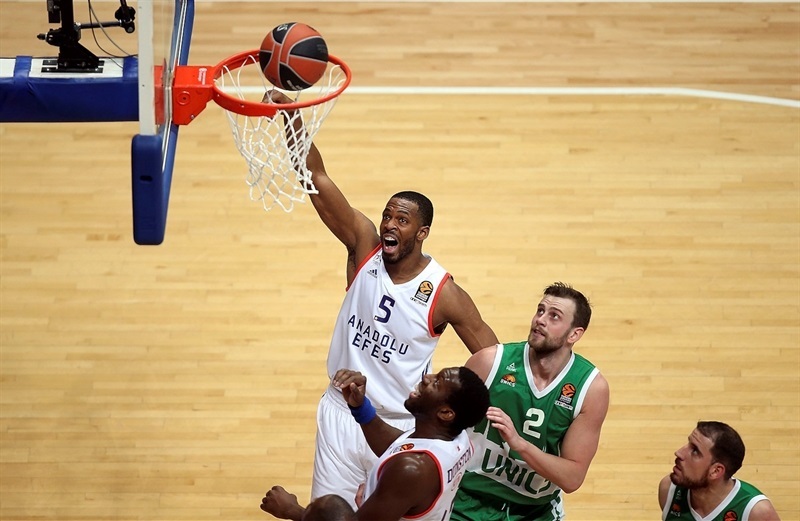 Efes improved to 13-11 in the regular season standings, recording its fourth consecutive win. 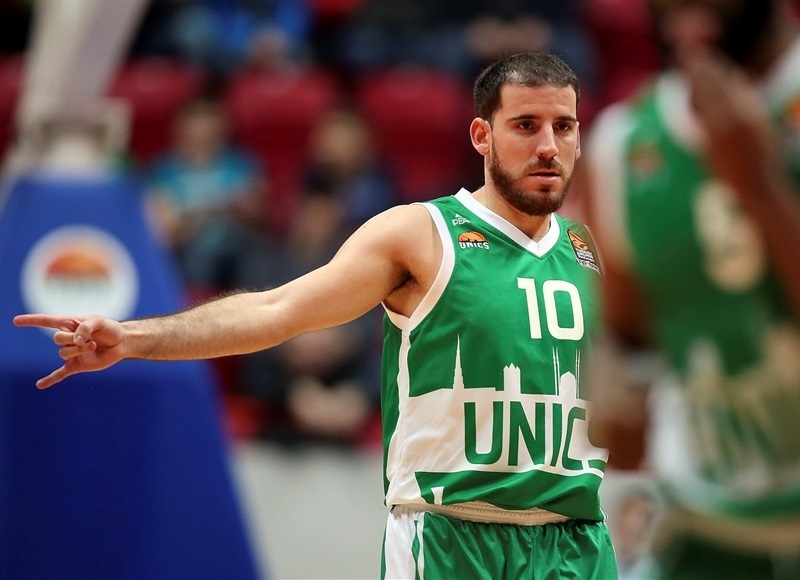 Unics dropped to 7-17 and is mathematically out of chances to make it the playoffs, becoming the first eliminated team in the competition. Derrick Brown led the winners with 24 points on 8-of-12 two-point shooting. 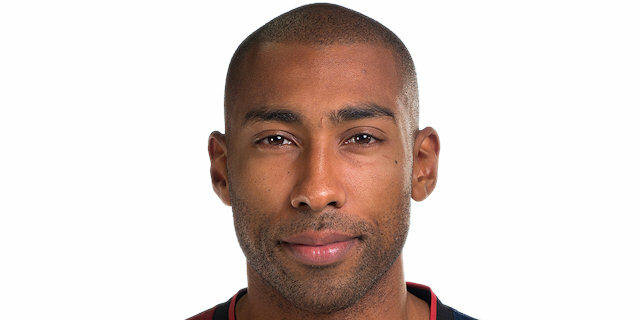 Jayson Granger added 17 points and Bryant Dunston had 16 while Thomas Heurtel dished 9 assists. 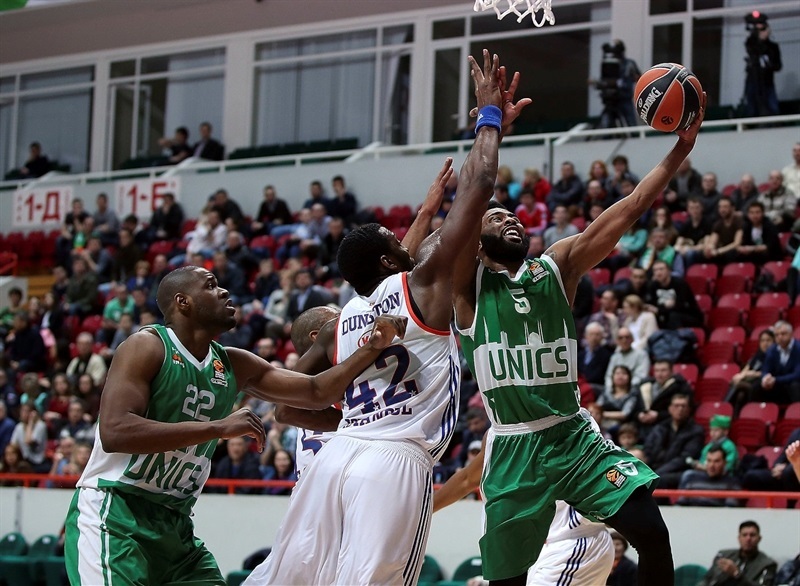 Keith Langford led Unics with 23 points. Latavious Williams and Quino Colom each had 16 while Art Parakhouski had 10. Williams also pulled down 10 rebounds for a double-double. Efes dished 13 assists in the first half, limiting turnovers to just 4. Its two-point shooting percentage - 60%, 15-of-25 - allowed the guests to get a 43-49 margin at the break. 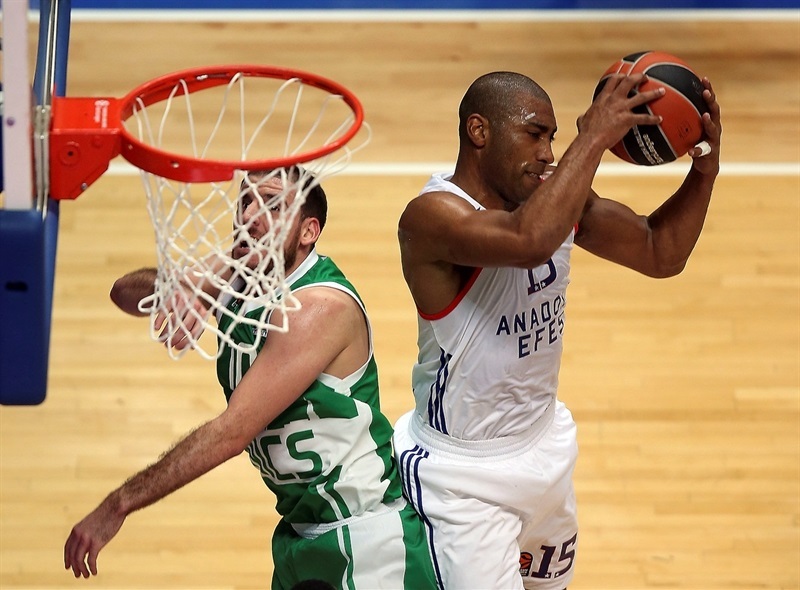 Despite allowing 15 offensive rebounds, Efes kept shooting the ball well inside the arc, hitting 31-of-52 shots (59.6%). 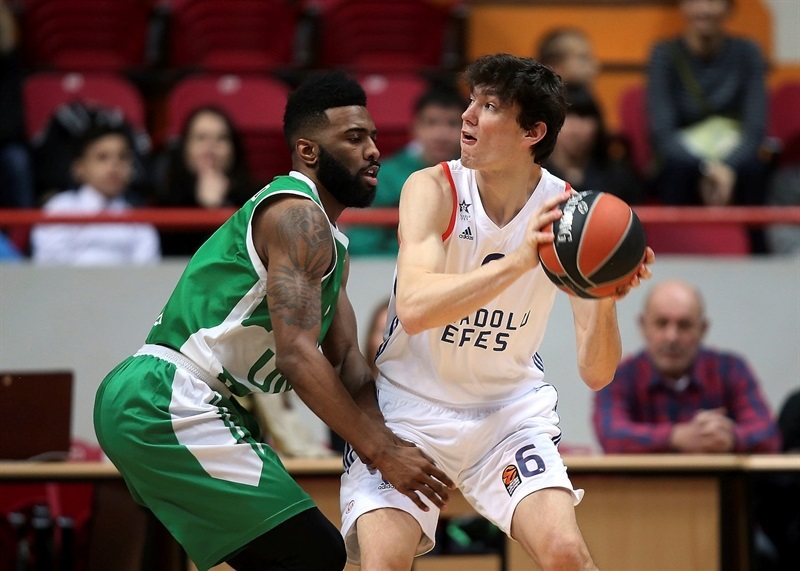 Efes also had 8 steals and 25 assists to get a valuable road win. Parakhouski dunked to get Unics going and free throws by Langford gave his team a 4-0 lead. Brown followed a big basket with a tip-in but Pavel Antipov struck from downtown and Coty Clarke helped Unics boost its margin to 12-4. Dunston and Brown stepped up for Efes but an outstanding Langford kept Unics in charge, 18-12. A 0-7 run that Tyler Honeycutt capped with a tip-in gave the guests their first lead, 18-19. Granger struck from downtown but a reverse layup by Colom and a jumper by Williams tied it at 22-22 after 10 minutes. Williams took over with an alley-oop slam and Danilo Andjusic added 5 unanswered points for a 29-27 Unics lead. Can Maxim Mutaf and DeShaun Thomas each hit from beyond the arc and back-to-back slams by Alex Kirk allowed Efes to regain a 35-37 lead. Thomas insisted from downtown and Dunston followed a three-point play with a layup. They got help from Granger and Cedi Osman to boost Efes's margin to 43-49 at halftime. Osman followed a triple with a fastbreak layup to make it a double-digit difference, 43-54, right after the break. A three-point play by Granger and a floater by Osman boosted Efes's lead to 46-61. 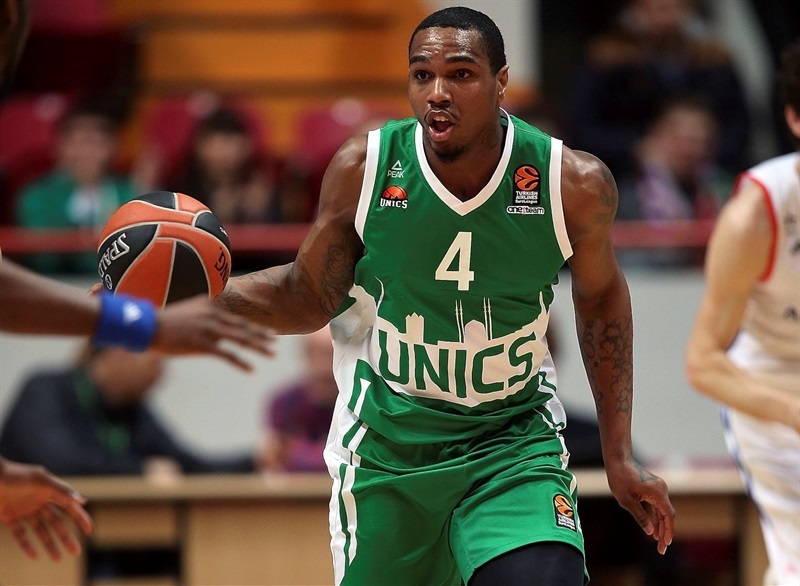 Colom and Williams fueled an 8-0 run that gave Unics hope at 54-61. Kirk and Thomas stepped up for Efes, Heurtel swished a jumper and a dunk by Honeycutt restored a 61-69 Efes lead after 30 minutes. 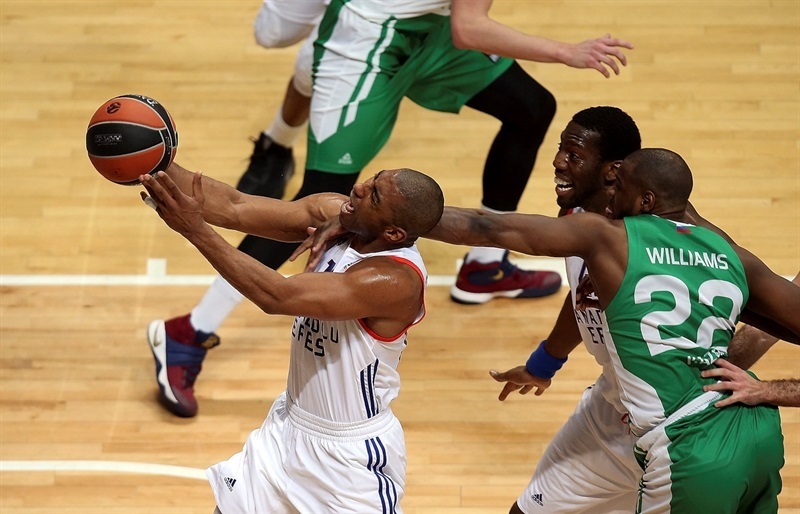 Granger scored down low and added a baseline floater as Efes regained a 63-73 advantage. Andjusic and Colom each hit a triple in a 10-0 run that Langford capped with a jumper that tied the game, 73-73, with more than 3 minutes left. 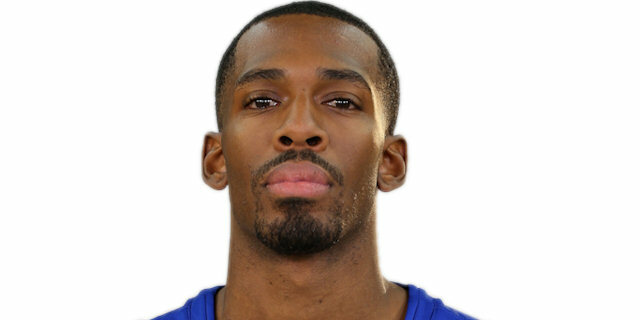 Dunston took over with a layup and 3 free throws. Langford scored in penetration and Williams erased Heurtel's free throws with a one-handed alley-oop slam for a 77-80 score. Langford hit free throws to tie the game, 80-80, with 19.4 seconds left. Brown sank a jumper with 2.7 seconds to go but Langford buried an off-balance shot to send the game to overtime. Granger and Brown took over early in the extra period and free throws by Dunston made it a six-point game, 84-90. 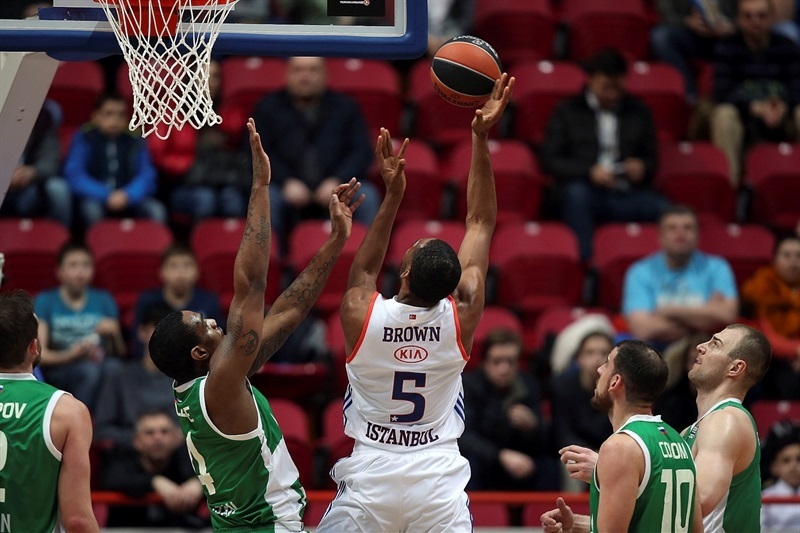 Brown followed a tough jumper with a two-handed slam that sealed the outcome, 86-94, as Unics never recovered. "Derrick Brown took responsibilities for them in the toughest moments. We were down by 10 but with our second unit, Anton Ponkrashov, Danilo Andjusic, Latavious Williams and Pavel Antipov, gave us a lot of energy. I am happy that our bench players helped a lot and tied the score. We had a big rotation, 10 players, and in the fourth quarter we started to press and be aggressive. Somehow, we are not able to do this for 40 minutes, and even when the guys played with heart until the end, they hit a couple of big shots in overtime and won the game." "It was a very important game for us, because we are in the race to reach the playoffs. We knew that if we won today, we would have great possibilities (to advance). After this victory, we look to a better future. In this competition, every game will be very difficult. We must play every game like it is our last. I think today's game was very tough. We played good basketball and in my opinion, we should have won before overtime but made some mistakes in the final minutes. We had problems with free throws all game long. There was a big difference in free throws and we made many fouls on three-point shots. 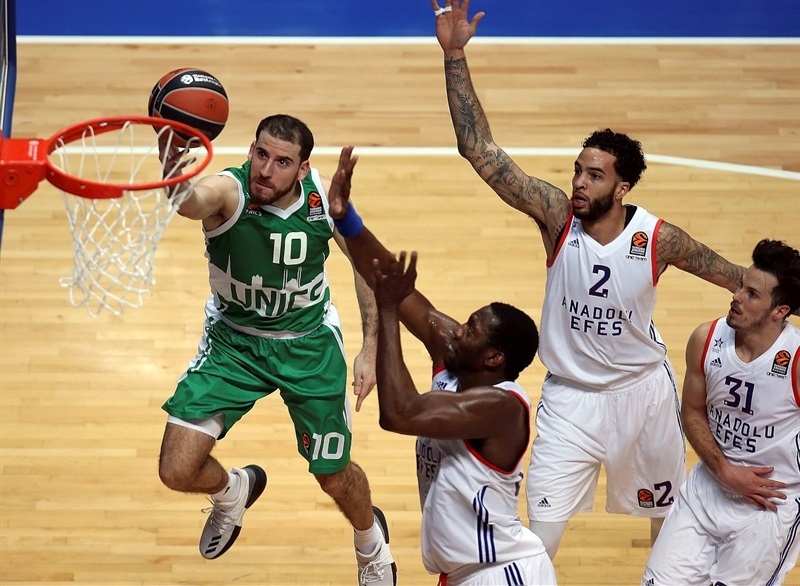 Unics Kazan took advantage with easy points. I think that was the key of why we went to overtime. I think before overtime, Unics had 28 free throws and we had 10, which is not usual in this competition. Derrick Brown is one of the most important players of our team." "It is always a tough atmosphere to come here and play, especially on the road, but it is playoffs time and every game matters now. Earlier in the year, we had a game that went to overtime against Panathinaikos and we didn't take care of business. We have been in this position before. Every game matters, we are just trying to come out and play good defense. We did that at the end of the game and got the win." "I think we did a pretty good job for the most part of the game. We controlled our basket, defensive rebounds, but we got a lot of offensive rebounds, too. We came really strong in overtime and are really happy."